We have eight unique Luxury Holiday Cottages, set in the grounds of Cloncaird Castle, near Kirkmichael in Ayrshire. 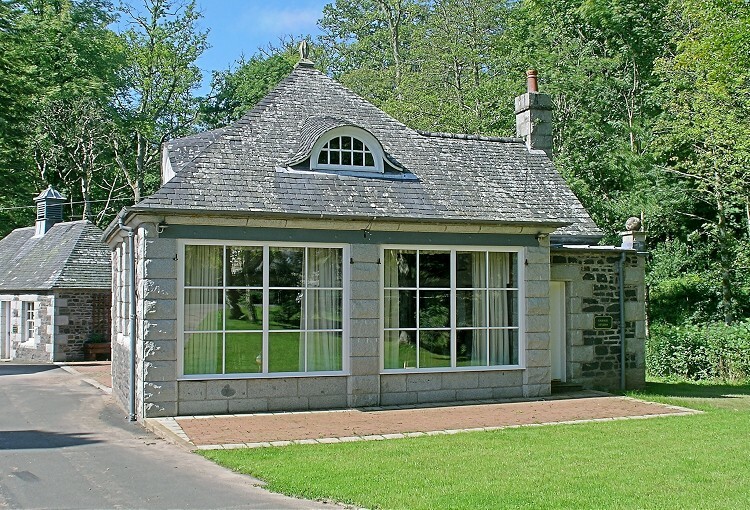 Guests can explore the extensive policies with woodland walks along the banks of the River Girvan. 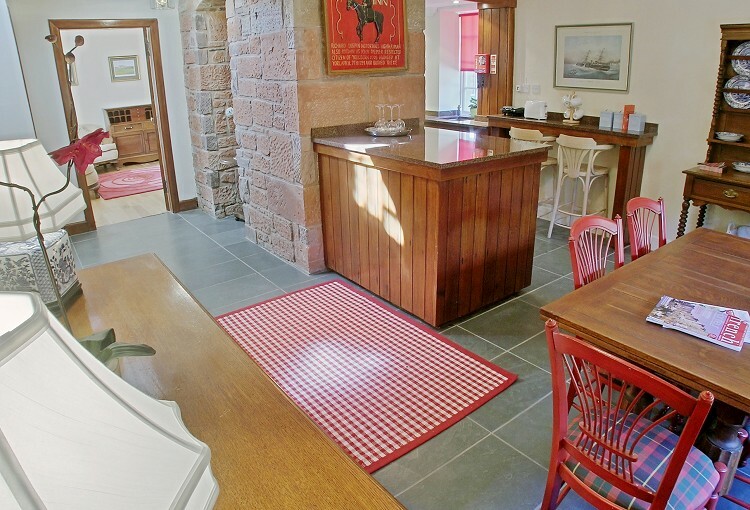 Cloncaird Castle Holiday Cottages provide a great base for your holiday in Ayrshire. 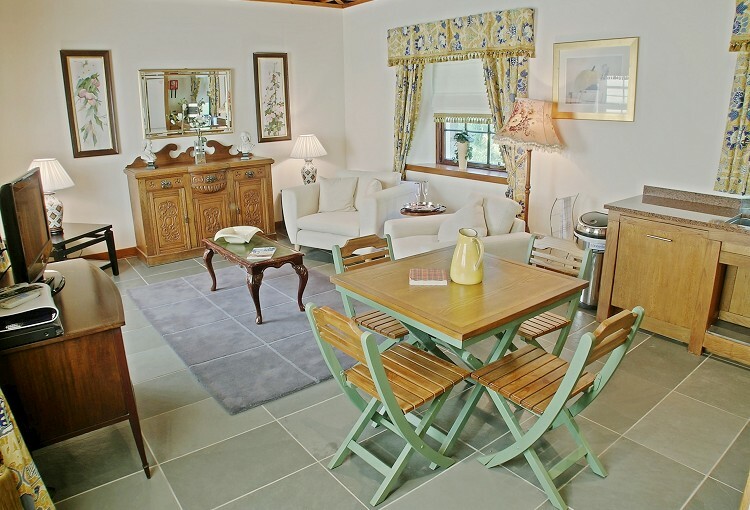 The holiday cottages at Cloncaird Castle are boutique bespoke; they all have undergone a complete major renovation project, which includes under floor heating, oak panelled living areas, log fires, Brazilian slate and oak floors, with most of the cottages having en-suite showers and toilets. 2 bed delightful house. 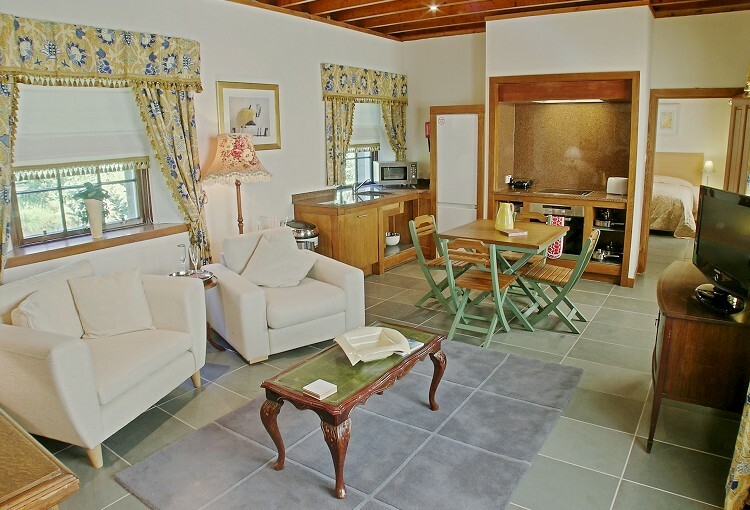 En-suite shower/toilets, king-size beds, open plan living area with kitchen. Its got that something different! 2 bed cottage with en-suite shower/toilets, king-size beds, open plan living area with kitchen downstairs. Absolutely charming! 1 bed open plan loft studio with pitched ceiling and plenty of windows. A most romantic honeymoon studio or just for that special relaxing break. 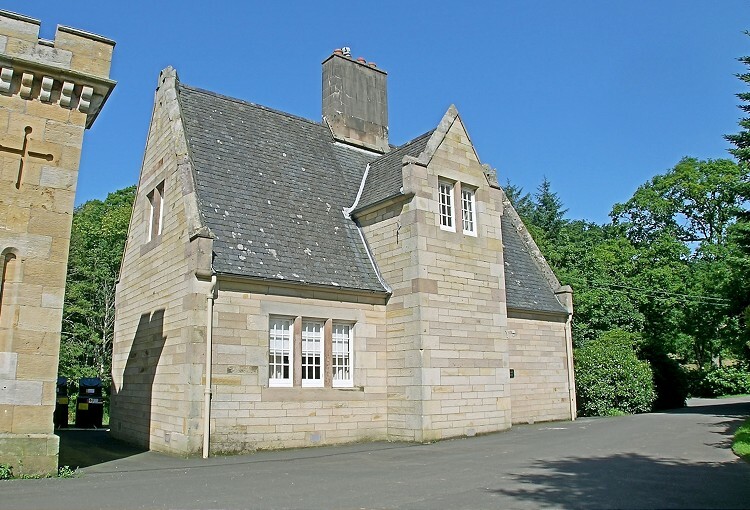 2 bed detached charming cottage. Lounge and open plan kitchen/diner on the ground floor. Newly renovated, with lovely views over countryside. 2 beds, en-suite showers/toilets, open plan living space downstairs. With kitchen and downstairs toilet/cloaks. 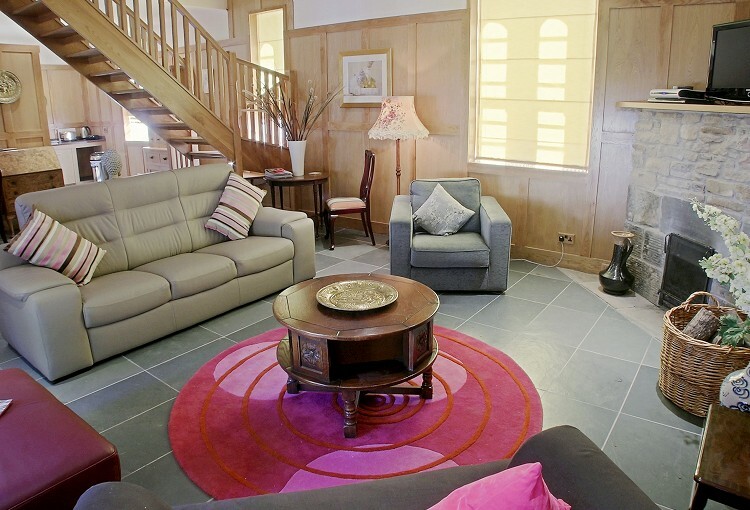 A really fabulous holiday retreat! 1 bed charming cottage all on the ground level. With king-size bed and open plan living area with kitchen. Delightfully overlooking the duck pond. 2 bed semi-detached house. Kitchen/diner, lounge, 2 shower en-suites/toilet in the bedrooms and cloakroom downstairs. Great for kids! 3 bed stunning house. En-suite shower/toilet. Lounge, open plan kitchen area and downstairs toilet cloakroom. Please enquire for weekly prices. 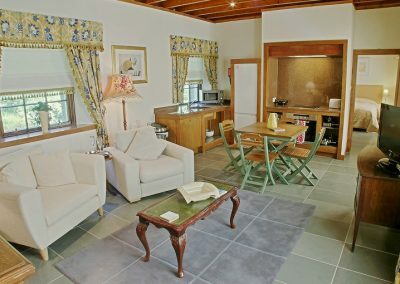 Short breaks of 2 or 3 nights also available. 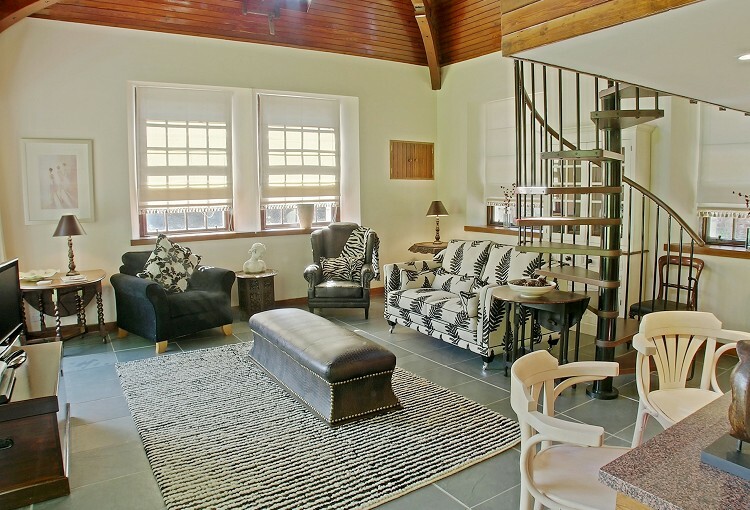 These luxurious cottages are set in the grounds of Cloncaird Castle in beautiful Ayrshire countryside near to the villages of Kirkmichael and Straiton, and just ten miles from Ayr. Parts of the castle date back to the 16th century and it is steeped in fascinating history. 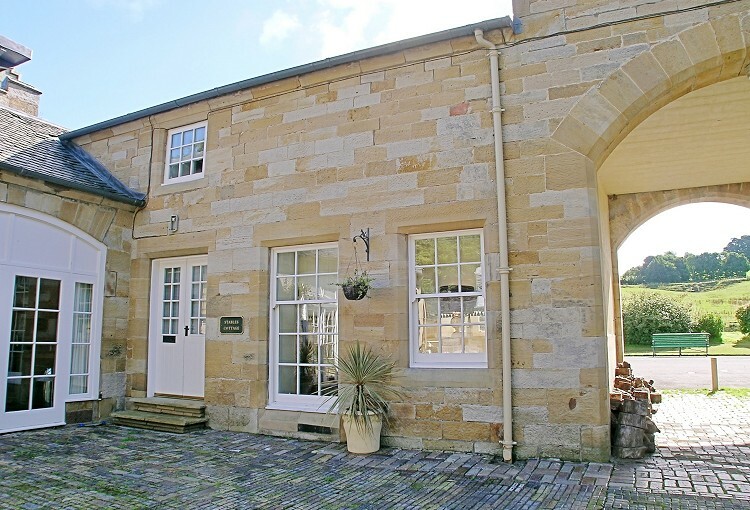 The cottages date back over 100 years and are built of either granite or sandstone and four of them are gathered around a central courtyard. 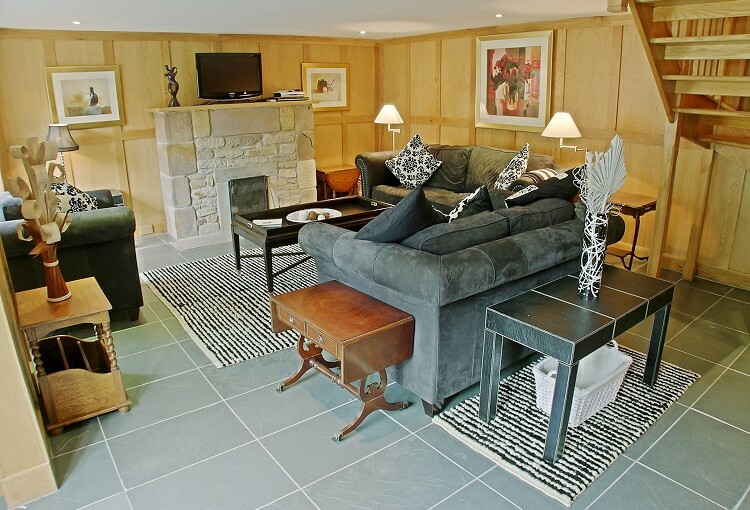 We have eight charming holiday cottages. 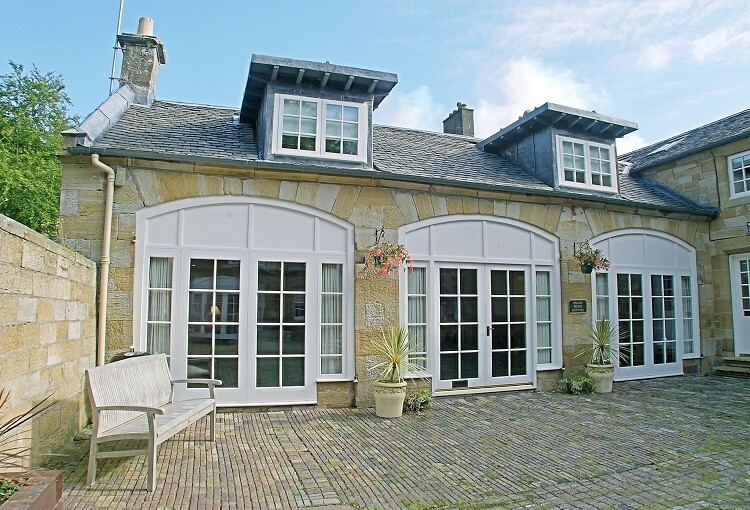 These self-catering properties are all newly refurbished and modernised, and available to rent all year round. 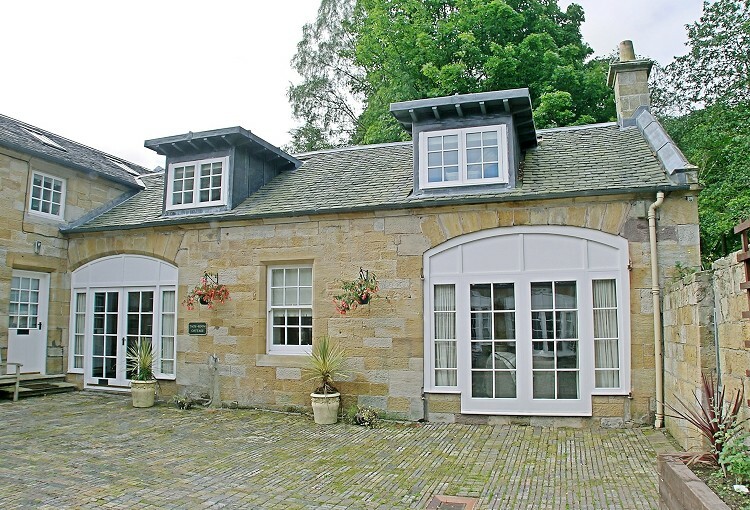 Cloncaird Castle Cottages are set within a 140 acre estate, with extensive gardens, woodland and romantic riverside walks. All the holiday cottages are individually styled. Sleeping from 2-6 people, each beautiful cottage seamlessly combines boutique and stylish interior design with comfort and space. 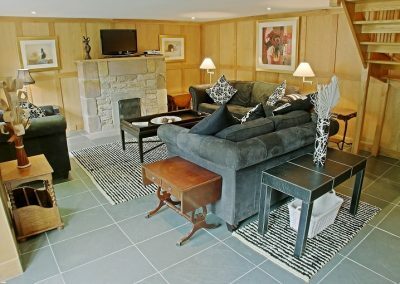 The holiday cottages feature flat screen TV, DVD player, double glazing, underfloor heating and fitted kitchen with dishwasher. Some also have open log fires. 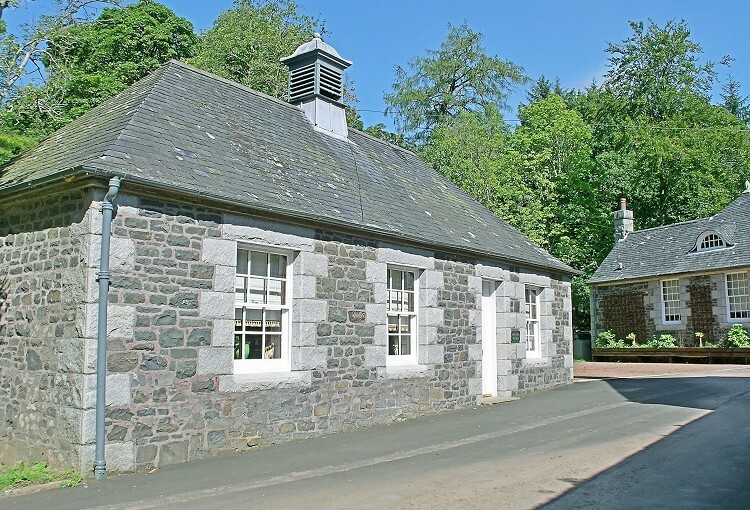 All the cottages can be booked together for large parties, sleeping up to 30 in total. We are only a short drive from Prestwick International Airport and one hour ten minutes from Glasgow Airport. Kirkmichael is the local village and the historic town of Ayr is nearby. 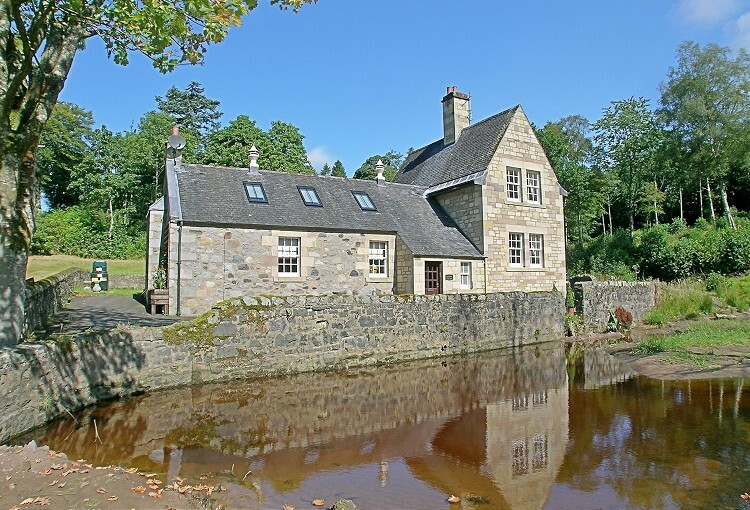 Cloncaird Castle is located on the banks of the beautiful River Girvan. 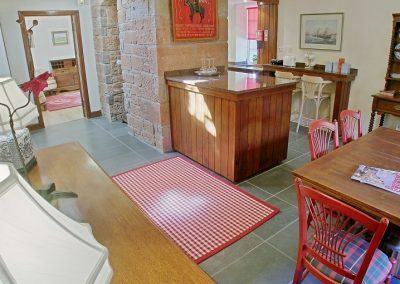 This setting gives the park a very exclusive feel and the estate also provides a superb base for exploring this stunning region of south-west Scotland. Walking and hiking tracks are plentiful in the area which is a paradise for keen equestrians. Our holiday cottages are also within easy reach of many Top Ayrshire Golf courses such as Turnberry, Prestwick and Troon. 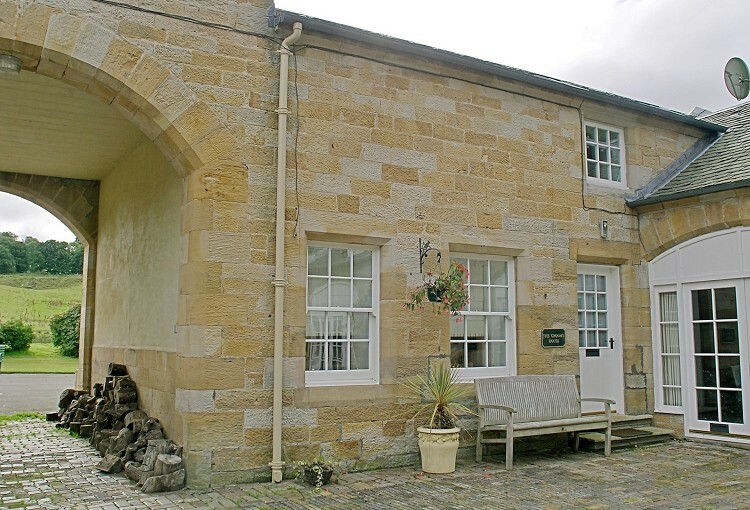 Check Availability and Book Online with our Booking Agent, Sykes Cottages. Please telephone us on 01655 750345 if you would like to know anything else, or have any special requests.